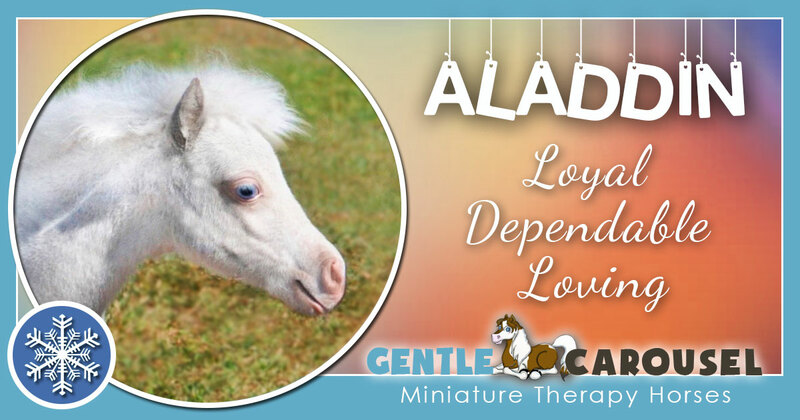 Aladdin works with adults and children in hospital or hospice care, in assisted living programs, with Gentle Carousel's Reading Is Magic programs at libraries, with children who have special needs and is a favorite at schools and literacy events. 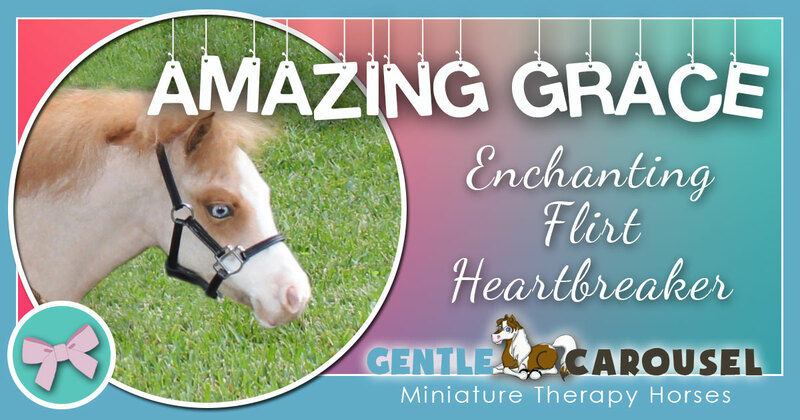 Amazing Grace works with adults and children in hospital care and with families of first responders. 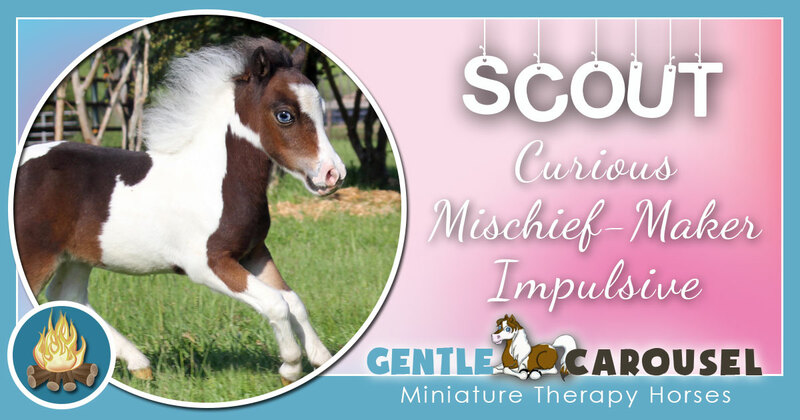 She is usually called Gracie. 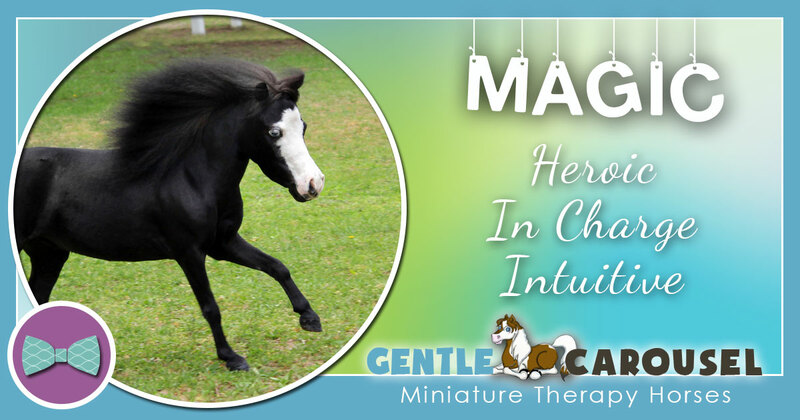 Amazing Grace was born while the therapy horses were working in Charleston after the church tragedy there. Anthem is a therapy horse in training. He has been working at Ronald McDonald Houses with young patients and with adult patients at a rehab hospital. He has also made school visits and even was a good boy on a movie set. 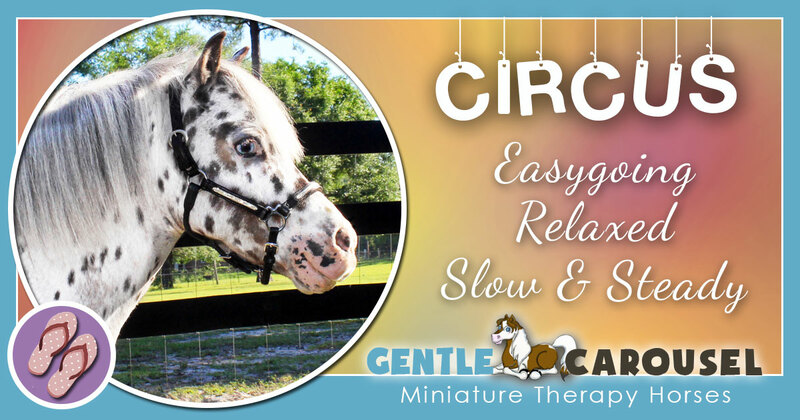 Bart works with Gentle Carousel's Reading Is Magic literacy program. He represents characters in books like Brighty of the Grand Canyon. 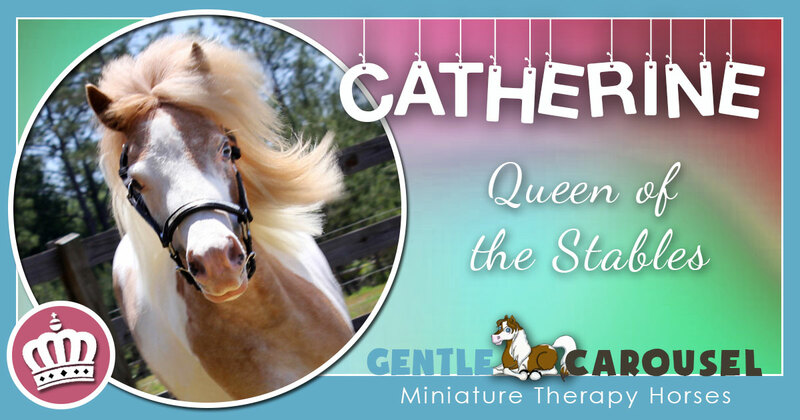 Catherine works with adults and children in hospital care, with Gentle Carousel's Reading Is Magic literacy program and with families who have experienced traumatic events. Circus works inside schools and libraries as part of Gentle Carousel's Reading Is Magic literacy program. He also visits children in hospital care. 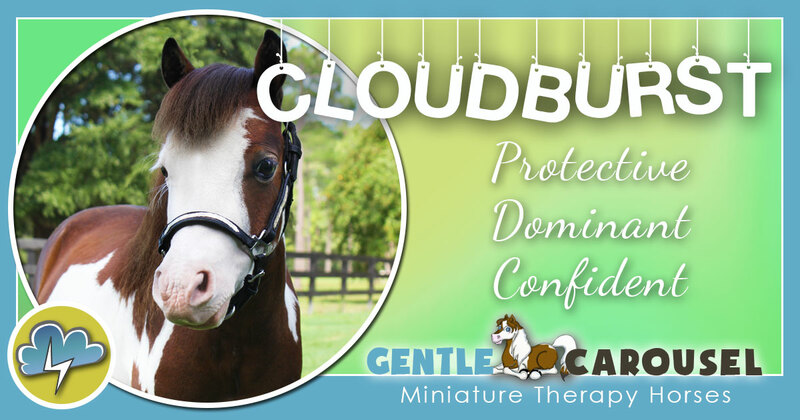 Cloudburst does it all. He has worked inside hospitals, Ronald McDonald Houses, hospice programs, assisted living programs, schools, libraries, book and literacy festivals and even a Dance-a-thon for the Children's Miracle Network. 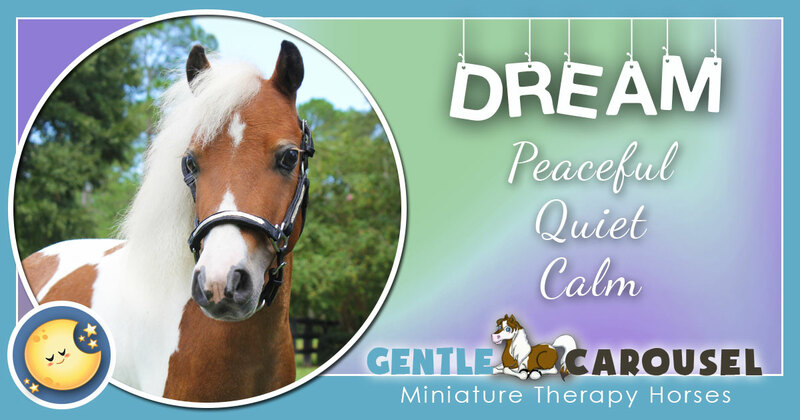 Dream works with adults and children in hospital or hospice care and with military families. From helping the children and first responders of Sandy Hook Elementary School in Newtown CT and the Emanuel AME Church in Charleston, NC to the survivors of the ​Moore, OK tornadoes, Magic brings her special love where it is needed most. Magic works inside ​children's and veterans ​hospitals across the country. 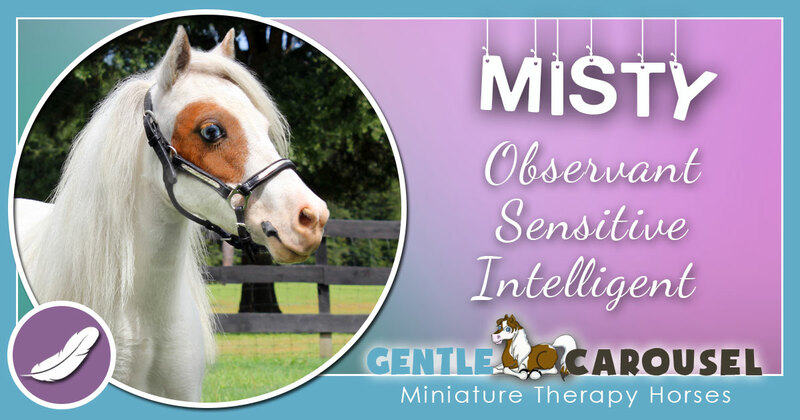 Misty works with Gentle Carousel's Reading Is Magic literacy program and looks like Misty of Chincoteague by Marguerite Henry. 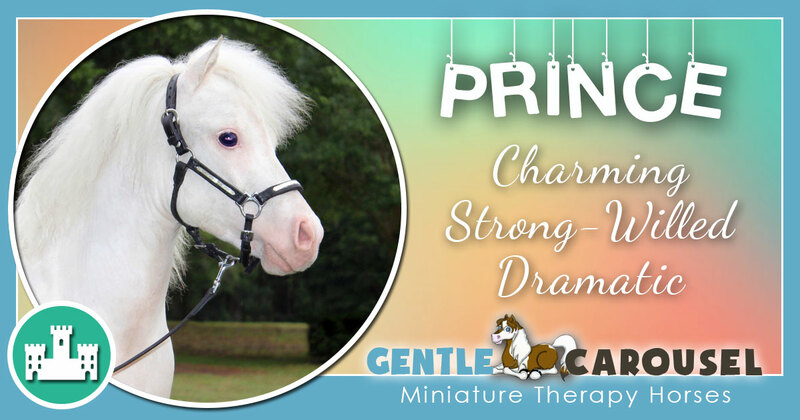 Prince works inside children's hospitals and is part of Gentle Carousel's Reading Is Magic literacy program. Children think he looks like a magical unicorn. 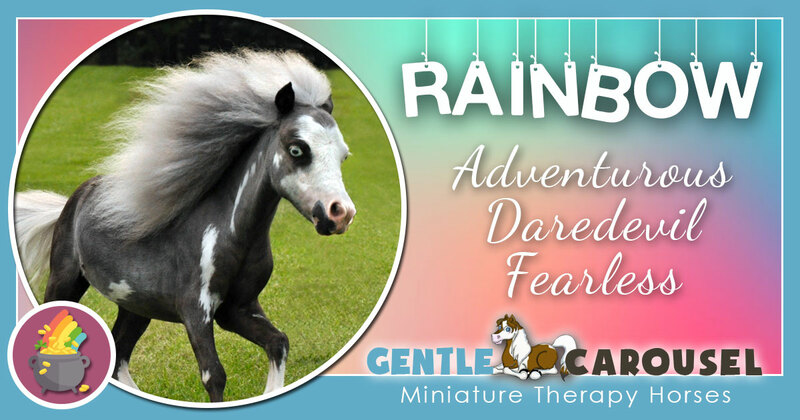 Rainbow works with children in hospital care and with children who have special needs. 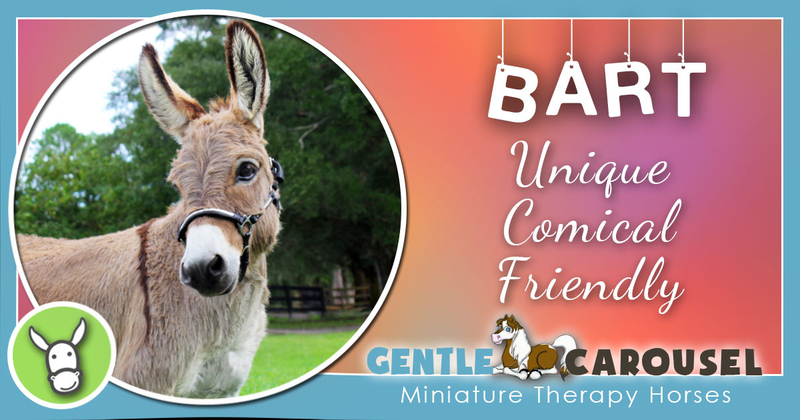 He has made many library and school visits with Gentle Carousel's Reading is Magic literacy program and even made a Ronald McDonald House and an assisted living program visit with canine movie superstar Benji. 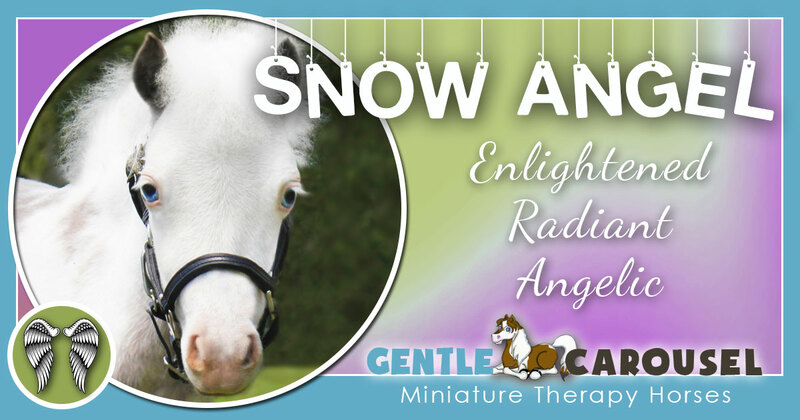 Snow Angel is an angel. She is so gentle with young patients and with adult patients, an old soul in a young body. 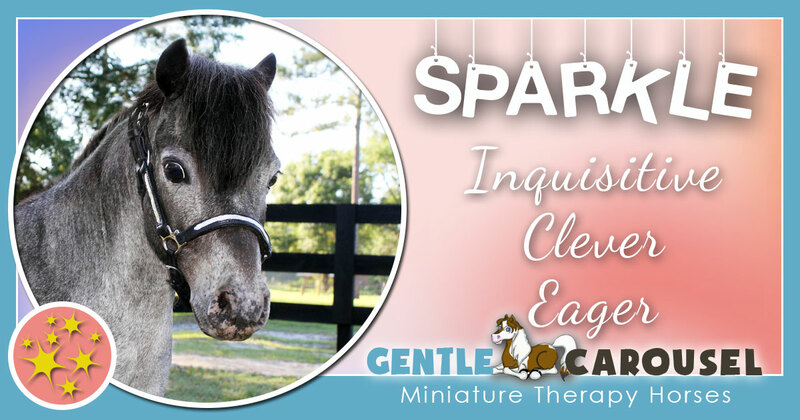 Sparkle works with Gentle Carousel's Reading is Magic literacy program and at hospitals. He is a favorite in schools. 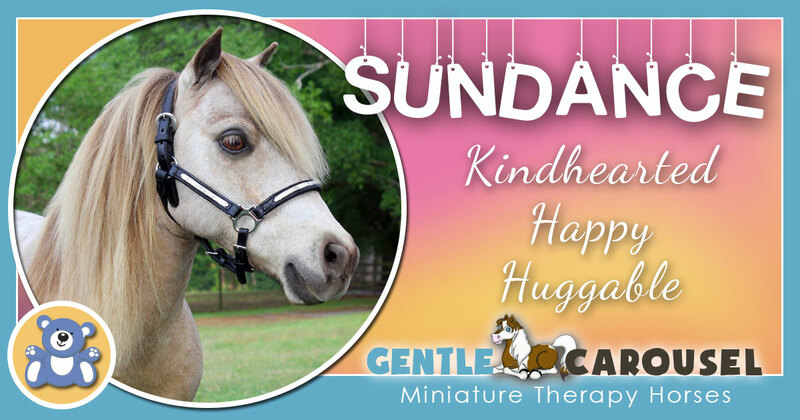 Sundance has been a big part of Gentle Carousel's Reading Is Magic literacy program for many years but he also works with children in hospital care and seems to have a special way with many children with autism. A character based on Sundance is featured in a book called Jason and Elihu. 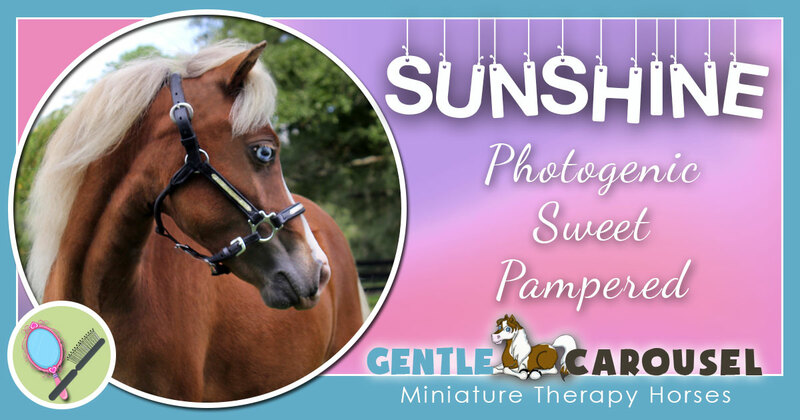 Sunshine works with adults and children in hospital care and and makes library visits with Gentle Carousel's Reading is Magic literacy program. She also enjoys meeting new friends at public events like the University of Florida School of Veterinary Medicine's Open House. 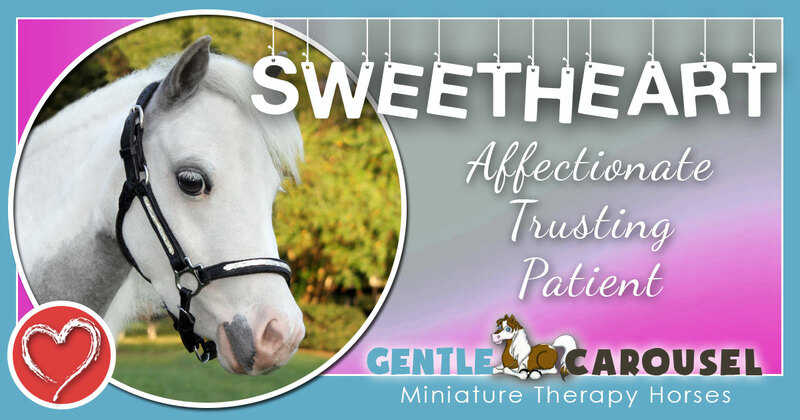 Sweetheart works with adults and children in hospital care with a big place in her heart for children in Tennessee hospitals. She also works with young and at-risk readers. 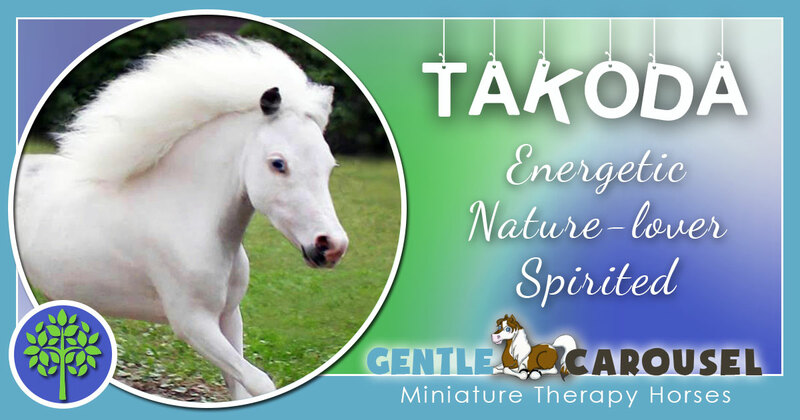 Takoda works with children in hospital care and with children who have special needs. He has traveled to many states including Texas to volunteer at the Pin Oak Charity Horse Show. 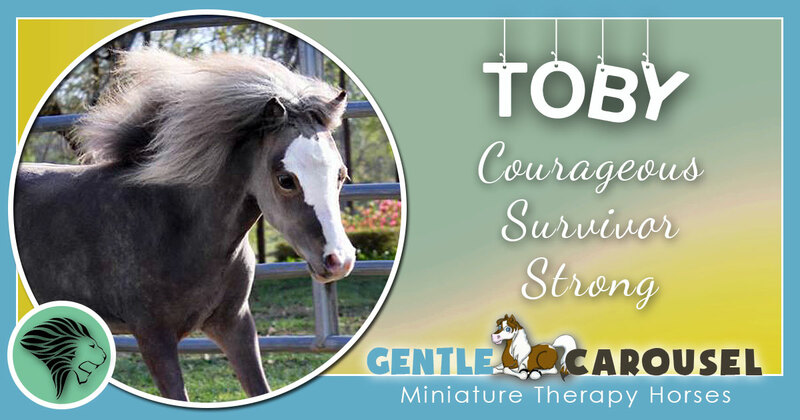 Toby works with adults and children in hospital care. He also visits families who have experienced traumatic events. 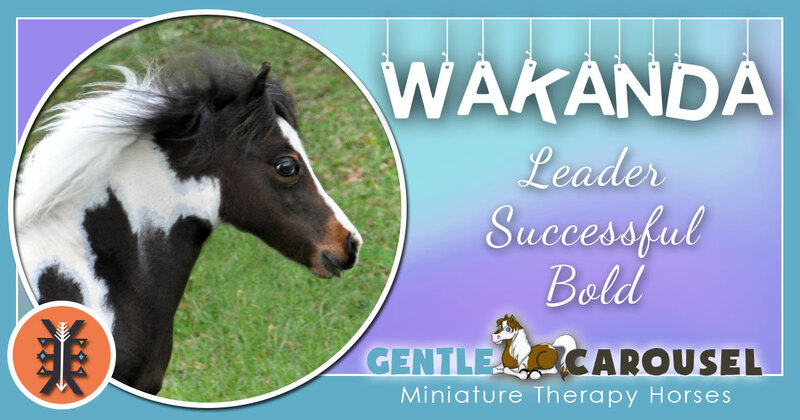 Wakanda works with adults and children in hospital or hospice care, in assisted living programs, with Gentle Carousel's Reading Is Magic programs at libraries, schools and literacy events and with children who have special needs.